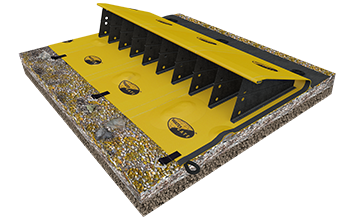 Water-Gate is a flexible emergency flood dam that harnesses the power of floodwater to automatically fill, unfold and stabilise itself. Water-Gate is also the latest generation of cofferdam; it simplifies river works, quickly and effectively combats pollution, and makes better use of natural water points for firefighting. Water-Gate can be installed on any kind of terrain. It is inexpensive and protects the environment. Lay down the dam and unroll it. It’s as easy as that! Water rushes into the dam and holds it in place against the ground. It only takes 5 minutes to install 200 m of protection! WaterGate comes in ready-to-install rolls. Our highest dam remains perfectly effective against up to 200 cm of water. 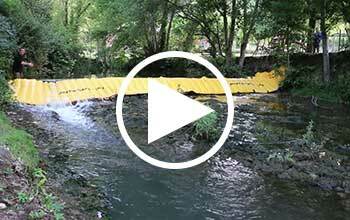 A single flood dam can instantly replace up to 10 pallets of sandbags. 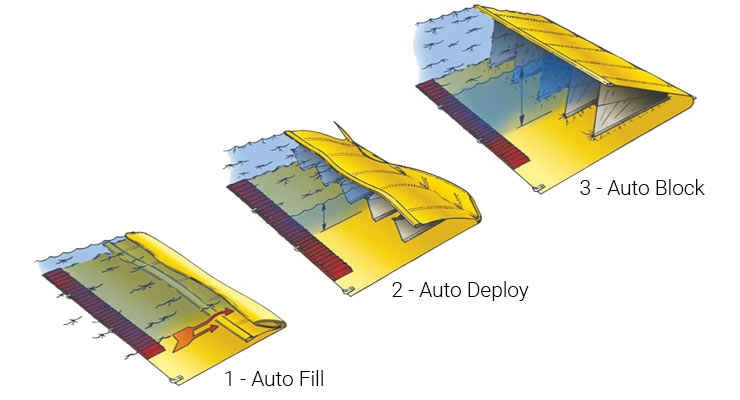 The innovative concept behind Water-Gate, the first flexible dam/cofferdam, makes use of fluid dynamics. The dam is designed with a 1:4 height-width ratio, which ensures total stability and grip on all types of surfaces, even ice! A comprehensive range to cover every eventuality. Depth of ground coverage varies from 1.4 m to 8 m depending on the height of the dam. 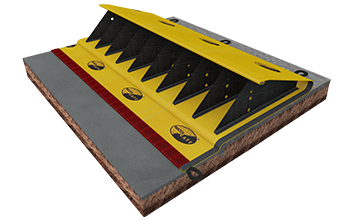 All dams/cofferdams, regardless of their height, can be quickly connected to one another using the double-Velcro system, with no need for tools. Fashioned from carefully calibrated ultra-resistant tarpaulins, WaterGate can be folded like an inflatable boat. WaterGate can be installed at the last minute, just before the water arrives. It is also possible to deploy the dam when flooding has already begun. Whether you need curves or a straight line, WaterGate dams can be bent in any direction, even at right angles. No need for flat ground! WaterGate fits over all kinds of obstacles: rocks, rails, low walls, etc. It grips perfectly on all types of surfaces, even ice! Water-Gate has the same properties regardless of the length of the perimeter being protected or the volume of water being retained. The dam is delivered equipped and ready to be deployed. It is a self-contained unit that requires no additional equipment, no inflation, and no lengthy connection process. The dam self-stabilises and is held in place by the force of the water. Water-Gate can retain thousands of m3 of water without anchorage. Can be repaired on dry land or in water in the very unlikely event of a tear developing. Watertightness guaranteed thanks to the pressure exerted on the fabric by the water. The dams are manufactured in various unit lengths, all less than 15.2m, allowing them to be installed by a single individual or pair. The dam does not require any special maintenance if stored properly. No electrical equipment (e.g. pumps) or metal components (e.g. fasteners/connectors) that could deteriorate over time. A roll the size of a sports bag can retain thousands of m3 of water with incredible efficiency. Water-Gate has been protecting civilian and military infrastructure for over 15 years. 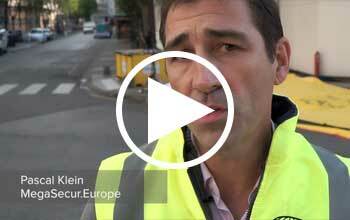 Our leadership is based on innovation and the exceptional quality of our products from the point of view of safety, efficacy and performance: made-to-measure support for our clients. Our goal is to be the world’s leading manufacturer of anti-flood and anti-pollution protection. Our standards are high. We define excellence and we honour our commitments. Regardless of the flow or direction of the current. The dam / cofferdam can resist waves and overflow currents. Thanks to the pressure exerted by the liquid on the fabric and the integrated ballast system. Leak rate of less than 4 l/min per linear metre on a smooth surface (like concrete). Thanks to its design and its flexibility, WaterGate easily absorbs the energy from collisions with drifting objects (e.g. tree trunks). 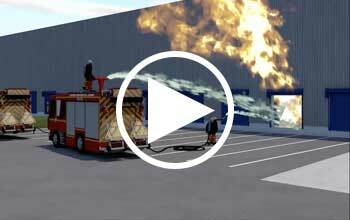 A safe solution, tested by the US Army Corps of Engineers. Certification from FM Approvals is a world-renowned benchmark when it comes to property loss prevention. Made in Canada, in our factory in Victoriaville. Each dam is manufactured and inspected in line with our stringent quality standards. You get traceability and a 2-year manufacturing guarantee. MegaSecur makes the most of its experience and carries out a feasibility study for each new project. 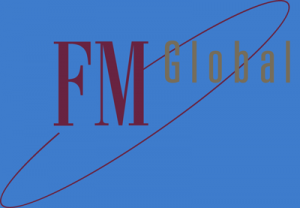 Water-Gate dams/cofferdams are certified by FM Global, a world leader in the field of damage insurance. Certification from FM Approvals signifies that the products have been impartially tested and conform to the most stringent international standards. Flood protection, cofferdams, anti-pollution devices, fire defence: check out some of our major clients!